When we think of religious buildings, they tend to be an imposing figure on the skyline and some of the most ornate buildings in a particular area. But sometimes churches are built underground, unnoticed by most. This can be for a variety of reasons – convenience, security, climate. 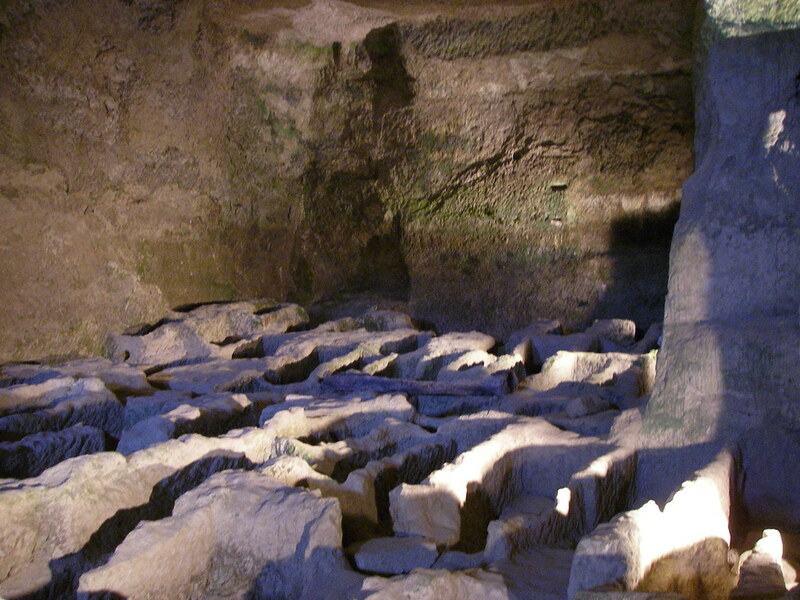 This week, I present 7 Underground Churches (literally). While this is an active Catholic church, it isn’t actually a cathedral. The Salt Cathedral is actually part of a much larger underground salt mine museum. Nearly everything that’s part of the church – statues, pictures depicting the life of Jesus – is carved from the salt. This church has humble beginnings as a simple sanctuary carved by miners. Here, they would pray for the intercession of the saints before beginning work. Nearly 20 years later (in the 1950s), the project was expanded and officially consecrated as a church. Later, more sections were added, including a Stations of the Cross. St. Kinga was married into a family and eventually because a princess in Poland. After her husband passed away, she sold all of her possessions and joined the Poor Clares. She was known for her charitableness towards the poor, and was beatified in 1690, deemed patroness of Poland and Lithuania, and then canonized in 1999. Her family relations are equally holy – niece of St. Elizabeth of Hungary, great-niece of St. Hedwig, and sister to St. Margaret of Hungary and Blessed Yolande of Poland. St. Simon the Tanner’s Coptic Orthodox Church in Cairo, Egypt features an amphitheater of 20,000 seats, making it the largest church in the Middle East, and one of seven churches carved into the side of the Moqattam Mountain. Legend has it that St. Simon moved this mountain to prove a miracle to the local authorities. You can read much more about this church (and the other cave churches) here. Also known as the opal capital of the world, Coober Pedy in Australia has regularly high temperatures, particularly in the summer. Temperatures can reach in the 100s, and residents prefer to live in dugouts along the mountainsides. Below is a Catholic Church in Coober Pedy (other religious groups also follow a similar tactic). St. Kinga’s Chapel is in the Wieliczka Salt Mine of Poland. Like many of the other chapels found in mines, this one was also started by miners. Although it is nicknamed “The Underground Salt Cathedral of Poland”, the chapel is not in active use as a church, although it can be rented out for weddings and other events. 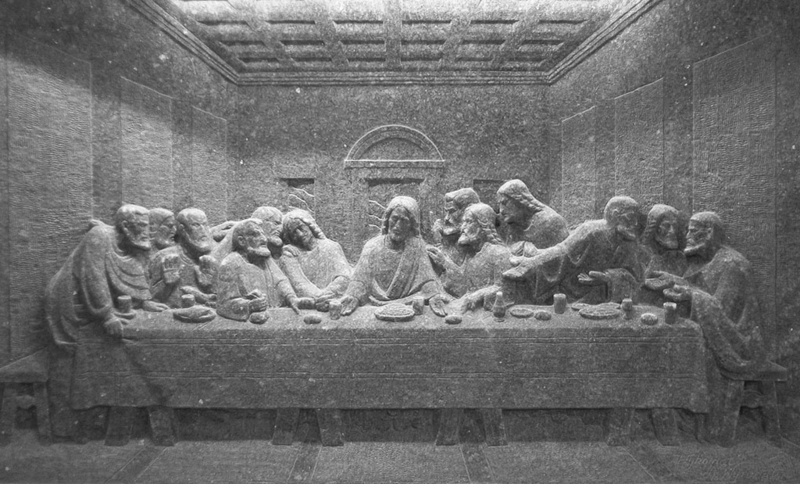 One picture I really love is this rendition of The Last Supper – entirely carved into salt. You can see it to the left of the above picture. Here’s a Lutheran church in Finland which is bit of a departure from the other churches on this list. 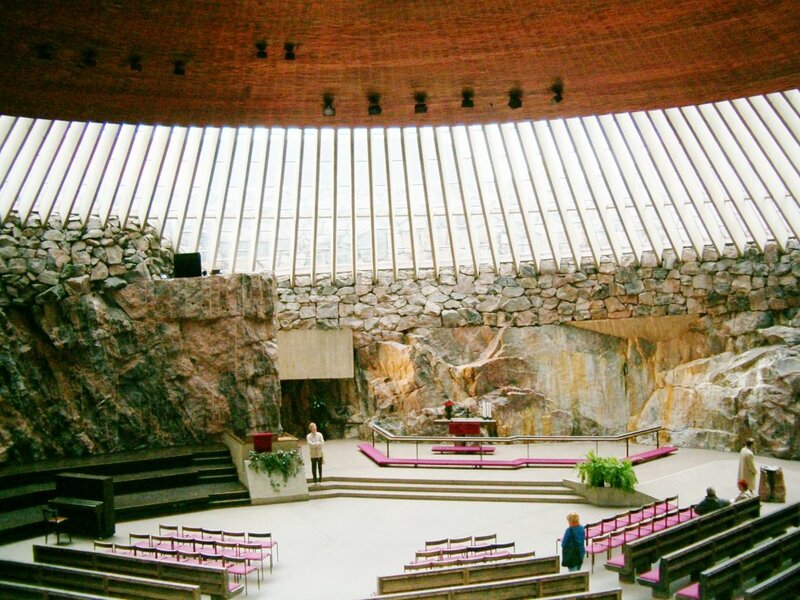 Constructed in a residential and shopping neighborhood inside of rock, the top part of the church is exposed for natural sunlight. It’s no wonder this church is known by its English translation – Rock Church. A possible second interpretation of its name is musical. Plans had initially called for walls to be installed. However, after discussing the acoustics of the church with experts, it was decided that it was best to leave the rock exposed. The church is now very well known for its acoustics and frequently hosts concerts. Update: Please check out the comments for even more underground churches! 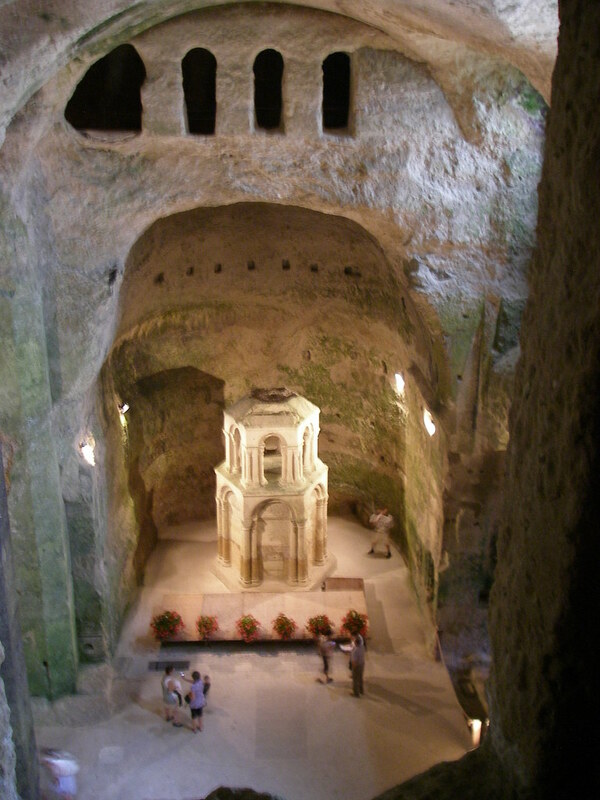 Some of them include the Basilica of St. Pius X (an underground church in Lourdes), the Grotto of Saint Michael, and St. Geogrios (one of several monolithic churches in Lalibela, Ethiopia). Many thanks to Howard, Paolo Gasparini and Mark for these finds! Hey – came here from New Advent. Great pictures, thanks very much! Do you have St. Kinga’s in Poland twice, or are there two of them? Also, may I suggest the churches of Lalibela in Ethopia as an appendix to your lovely list? They’re all monoliths (carved out of one piece of stone) and underground, in the sense that the roof is at ground level – it makes sense when you see them! St. Georgios is the most famous, I think. Thanks for all of the other suggestions! I’ll update the list later to include these. @Mark There are two St. Kinga’s, both in different mines. She’s a rather popular saint over there, so I’m not surprised to see two different shrines in her honor.